It’s our favorite time of year again! Winter is right around the corner and that means everyone is looking forward to another fantastic season at Harvard Cabin! I spent the last couple of weeks out west enjoying some wonderful early season winter conditions in the Rocky Mountains. A late Fall trip to Colorado wouldn’t be complete without beautiful dawn patrol ski tours leading to picture perfect powdery ski lines. Earning turns is the perfect way to get ready for another season on Mount Washington! Not to mention some fantastic alpine rock and ice! So much good road-side ice to be had…..who would ever think of trekking into the backcountry??? Just kidding! I did do fair amount of traveling since closing the cabin last season. From Quebec’s beautiful Gaspé Peninsula to the jagged peaks of The Tetons and down to the amazing razorback formations at Seneca Rocks, I ran into familiar faces from Harvard Cabin everywhere I seemed to drag a rope! Proof-positive that the Harvard Cabin guest is hard-core and ready-to-send, no matter what time of year! You all inspire me! I was able to put Harvard Cabin in a public spotlight for a little while this Fall. I did some volunteering with The Granite State Ambassadors at The Big E, the largest fair in the northeast. For over 90 years, the Eastern States Exposition has showcased the six New England States. Included in the 175 acres of fairground, you’ll find the famous Avenue of States, home to a replica of each original New England State House. Inside each building, you’ll find plenty of food, crafts, products, and tourism info pertaining to each state. Besides the Blueberry Pie and Ice Cream, Mount Washington is always a New Hampshire highlight. 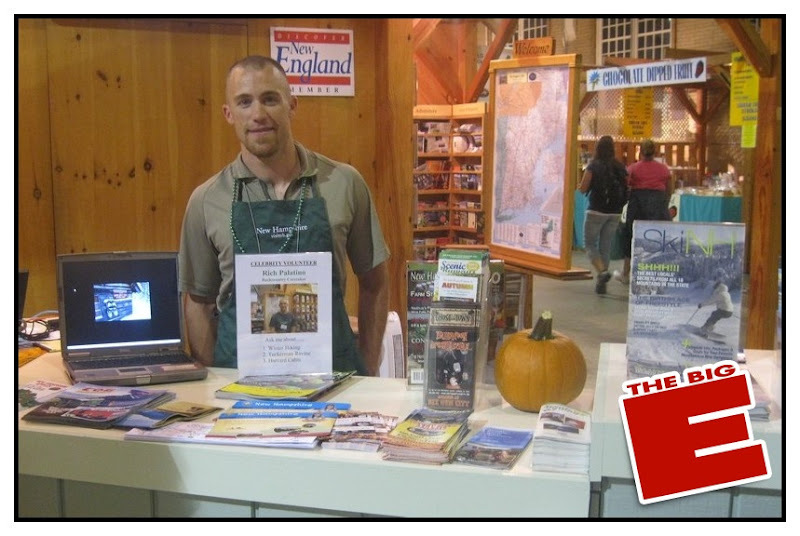 It was fun being part of the fair and sharing Harvard Cabin with hundreds of fair-goers from all around New England and beyond. I should stop rambling and skip to the chase -current conditions on The Rock Pile. After an amazing pump-fake over Halloween weekend we were left to wonder if it was a Trick or Treat. Well, at this point it sure seems like it was a big, mean Trick! The mountains have pretty much returned to late fall conditions. As I’m sure you are aware, all the early season ice is basically gone. Snow is even hard to find following a winter storm that occurred only last week! Sure, we’ve all been treated to an extra long rock season, but this is getting ridiculous! Fortunately, the weather does seem to finally be trending in the right direction, though we remain well above seasonal temps. Keep your fingers crossed that we keep trending towards the negative temps! It hard to believe I was able to sink my tools into some decent ice at way back in October as I picked my way up Yale Gully, a promising start to the season. I mention this now only because at the top out, I found plenty of potential for above average rock fall as a result of erosion caused by Hurricane Irene. I’m hoping this latest warm spell helps to further settle the gullies before our regularly scheduled mid-winter thaw. There sure seemed to be a lot of loose debris that needed to come down. I’d expect to see lots of new debris in The Fan until things really get locked into place for the winter. We may want to be a little more mindful of rock fall potential in Huntington this season. As always, be sure to limit your exposure from above and keep climbers below in mind as your make your way towards the top-outs. We’ve got another exciting season on tap. One bit of super exciting news is that Harvard Mountaineering Club has become an official sponsor of the 2012 Mount Washington Valley Ice Festival set to go off on February 3rd, 2012. HMC is proud to sponsor such an awesome event and is thankful for the opportunity to promote Harvard Cabin and its role in aiding public safety on Mount Washington each winter. As usual, Ice Fest will include many participants. Everyone, from the newest of climbers to salty veterans, can enjoy the amazing list of sponsors, gear demos, and clinics run by some of the top pro climbers in the World. Guest Guides this year will include the likes of Freddie Wilkinson, Janet Bergman, Emilie Drinkwater, Matt McCormick, and others. This years Keynote speaker is none other then the legendary Will Gadd! Get psyched, there will be tons of prizes, plenty of swag, awesome clinics, and live music! Stay-tuned for more information on HMC’s participation. As the time grows nearer, keep an eye on http://icefest.blogspot.com for more details and a complete schedule. 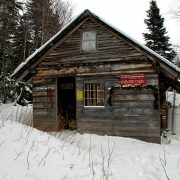 We’ve been more focused on skiing and climbing the last few seasons, but we’ve finally started a Harvard Cabin Facebook Fan Page. (Click Here) . I’ll be adding content and information in the coming weeks. Until then, just press “Like” and tell your “Friends” to do the same. Also, from time to time this season, I will be contributing content to Doug Millen who maintains the popular website, NEice.com. Stories will focus mostly on cabin life, but I’ll be sure to try and sneak-in a few paragraphs regarding an epic ski line or two. Come on now, it wouldn’t be New England Ice if we weren’t skiing on it too!!! I met with the Forest Service/Snow Rangers on Monday afternoon to review the Winter Operating Plan. As usual, the meeting was informative and a helpful in getting into my winter routine of helping to promote safety on the mountain. Once again, I was left humbled by the level of readiness and the 100% commitment to safety and excellence displayed by the Snow Rangers. Consistent with those values, the Forest Service has agreed to place a trail sign at the intersection of the Tuckerman Ravine Trail and the Fire Road. The sign will point travelers in the direction of the cabin and make the fire road a more recognizable reference point for everyone. This will no doubt, create better awareness of the cabin, thus increasing safety. Even better, It will surely help prevent more then a few late night travelers from missing the fire road and accidentally spending a cold night at Hermit Lake. 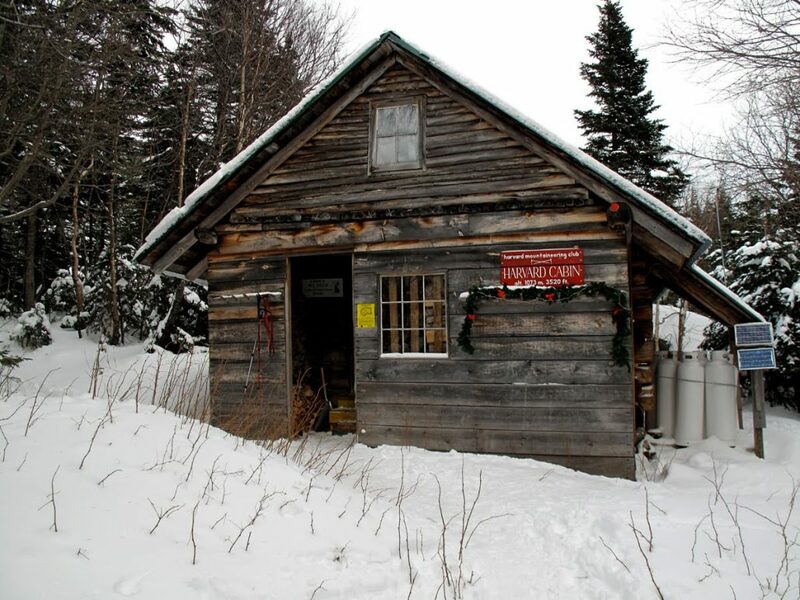 Opening Weekend….Get to Harvard Cabin! I’ve received a few e-mails and phone calls over this week. Seems like we’ll have a handful of guests at the cabin for opening weekend 2011/12. I hope you’ll be there too! Well, I really need to be heading up the trail again. Supply Load #1 as been delivered to the cabin. I have about 5 more to go before the weekend is over. I promise all of my updates won’t be such great works of shameless self-promotion. It’s been a long summer, so you’ll have to forgive me this time. I look forward to seeing you soon! Stay safe and THINK SNOW!! !